The west of Asturias contains all the best of this province. Emphasizing its impressive natural wealth, with vertigo cliffs, green hills and virgin beaches. A panorama that is enriched with its history, traditions and picturesque fishing villages. Cudillero is a iddylic town, with its spectacular natural amphitheater from which its colorful houses hang down to the sea. Stroll through its intricate alleyways, dotted with impressive viewpoints. Puerto de Vega is marked by its important commercial past, especially by the hunting of the whale, which prompted the installation of several canning industries. Do not miss the Lonja, the Paseo del Baluarte, the Mirador de la Riva and the Church of the Watchtower, which in September celebrates its seafaring virgin. Nor should we miss Cadavedo, in the council of Valdés, which highlights the beautiful hermitage of La Regalina, on the edge of a cliff. As well as Luarca and Navia, from where the Naviega Coast Path leaves. We recommend you also do the Route of the Cliffs of the Asturian West, from Cudillero to Luarca. 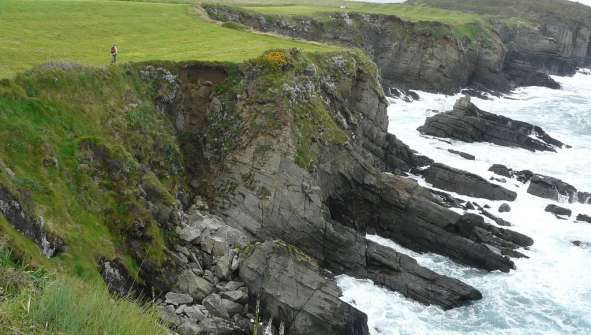 A wild landscape of vertiginous cliffs, caves, capes, beaches and islets, created by the strength of the Gulf of Biscay. Enjoy the views from the capes Vidio and Busto, and marvel at the Playa del Silencio.